Emily Webb, 16, is a geek very aware of the glamorous crowd at school, and even more conscious of her uncomfortably curvaceous body. 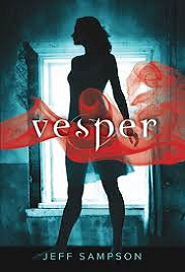 When the class’ other Emily is murdered, Emily W.’s relatively quiet existence gets left behind. Those familiar with contemporary werewolf plotting will recognize Emily W.’s shape-shifting well before she does but will nevertheless enjoy the ride as she sleuths the other Emily’s death, gets on the literal scent track of an unidentified but highly attractive boy, and creates havoc at parties she once never considered attending. 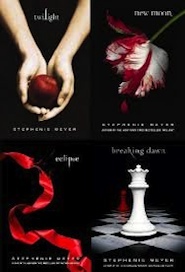 The third episode of Meyer’s vampire-romance series finds heroine Bella Swan anxious to become a vampire and live forever with handsome vampire Edward. Obstacles arise when Edward demands marriage and werewolf Jacob declares his love for Bella. Eventually, the Cullen vampires and the Quileute werewolves unite to face off against a pack of uncontrollable vampires seeking revenge on Bella. Isabella Swan’s move to Forks, a small, perpetually rainy town in Washington, could have been the most boring move she ever made. 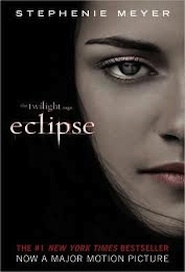 But once she meets the mysterious and alluring Edward Cullen, Isabella’s life takes a thrilling and terrifying turn. Up until now, Edward has managed to keep his vampire identity a secret in the small community he lives in, but now nobody is safe, especially Isabella, the person Edward holds most dear. The lovers find themselves balanced precariously on the point of a knife–between desire and danger. 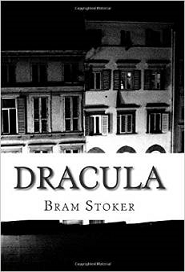 This novel tells the story of Dracula’s attempt to move from Transylvania to England, and the battle between Dracula and a small group of men and women led by Professor Abraham Van Helsing. It takes place largely in England and Transylvania during 1893. Jonathan Harker, a newly qualified English solicitor, visits Count Dracula in the Carpathian Mountains on the border of Transylvania, Bukovina, and Moldavia, to provide legal support for a real estate transaction overseen by Harker’s employer. Harker is at first enticed by Dracula’s gracious manners but soon realizes that he is Dracula’s prisoner. Wandering the Count’s castle against Dracula’s admonition, Harker encounters three female vampires, called “the sisters”, from whom he is rescued by Dracula. Harker barely escapes from the castle with his life. Not long afterward, a Russian ship, the Demeter, having weighed anchor at Varna, runs aground on the shores of Whitby.